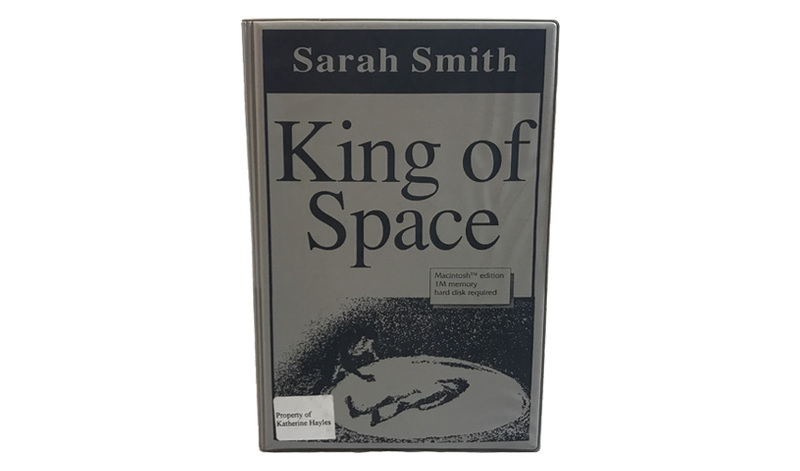 Experience a performance––what Stuart Moulthrop and I call a “Traversal”––of the first science fiction hypertext narrative: Sarah Smith’s King of Space (Eastgate Systems, Inc., 1991). This is a live performance streamed on YouTube and also captured in video in the Electronic Literature Lab. 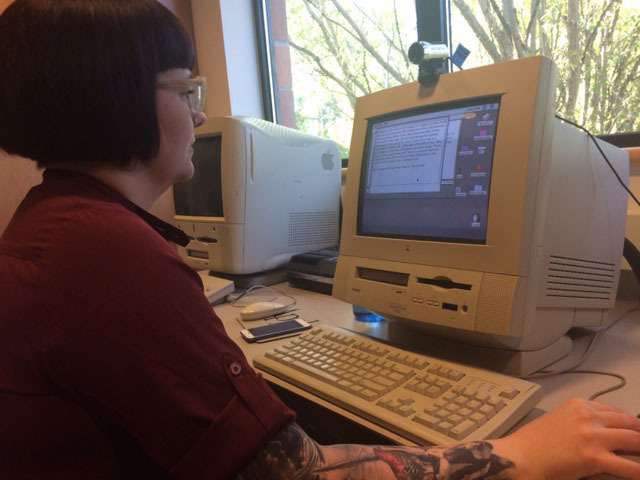 To access the work, we will be using one of two copies held in the Grigar Collection and Grigar’s Mac Performa Power PC 5215 CD, running MacOS 7.6.0 released in 1995. Performing the Traversal is Dr. Amber Strother, the Blackburn Fellow at Washington State University who specializes in science fiction and media studies. Guests can view the Traversal in person at Multimedia Classroom Building, Room 211B, or online at https://www.youtube.com/watch?v=kXJIcWctuDM. The event begins at 12 noon PDT and will end at 2 p.m. PDT. 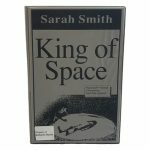 Sarah Smith wrote King of Space after meeting Mark Bernstein at MacWorld, just after finishing her first novel. “Want to write me something?” Mark asked, and she did. For the Chicago Tribune she also wrote two Web-based serials, the fantasy Doll Street and the near-future SF Riders. Her series of mystery novels includes New York Times/London Times Notable Book The Vanished Child, New York Times Notable Book The Knowledge of Water, and Entertainment Weekly Editor’s Choice A Citizen of the Country. Samuel Delany has called her novel about the Shakespeare authorship, Chasing Shakespeares “the best novel about the Bard since Nothing like the Sun,” and her young adult paranormal thriller, The Other Side of Dark won both the Agatha for best YA mystery and the Massachusetts Book Award for best YA book of the year. She has just finished a historical thriller set on Titanic and among the survivors in New York, and has recently written a guest episode of SerialBox’s Whitehall, a feminist historical about the women of Charles II’s court. 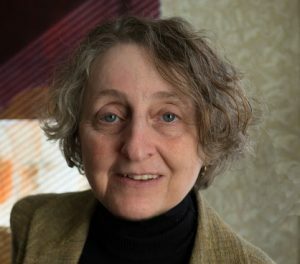 She has published several ebooks including an e-edition of The Paine of Pleasure, the real possibly-Shakespearean poem from Chasing Shakespeares. She’s working on a fantasy set in an alternate 19C South America, a YA thriller about a high-school medium involved in a gang war, and a project about the Election of 1912. Sarah is a member of the Cambridge Speculative Fiction Workshop. She lives in Brookline, Massachusetts, with her family. Find her at www.sarahsmith.com and as sarahwriter on Facebook and Twitter. “A dark science-fictional ritual of fertility and regeneration, King of Space takes place in an abandoned starship, circling the edges of a plague-ridden and collapsing solar system, where an escaped terrorist meets the last star-captain and his ship’s Priestess. Old man and young, young woman and ageless starship meet and meet again as enemies, allies, rapists, and lovers. The story has elements of gaming; an unwise move can send a character to the kitchen (“hundreds of tiny sandwiches, all alike”) or into the rocky caverns of the intelligent and unpleasant starship, where a very persistent elevator is waiting to have a conversation; you can meet the Lady Nii’s ancient, dreadful lover, King Brady, or become him; you can fall into a maze of love, or find the dance at the center of the world that regenerates the ship. Contains games and animations.”–Eastgate Systems, Inc.
Easton, Lee and Randy Schroeder, Eds. The Influence of Imagination: Essays on Science Fiction and Fantasy as Agents of Social Change. Jefferson, NC: McFarland Press, 205. Montfort, Nick. “Riddle Machines.” A Companion to Digital Literary Studies. Ed. Ray Siemens and Susan Schreibman. NY, NY: Routledge Press. Rau, Anja. “Wreader’s Digest––How To Appreciate Hyperfiction.” Journal of Digital Information V1 No. 7 (2001). https://journals.tdl.org/jodi/index.php/jodi/rt/printerFriendly/28/29. Stierstorfer, Klaus. Beyond Postmodernism: Reassessment in Literature, Theory, and Culture. Berlin, Germany: Walter de Gruyter. 114. Amber Lea Strother is currently the Blackburn Fellow at Washington State University where she specializes in contemporary American literature, gender and sexuality studies, and speculative fiction. Her research interests include the intersection of the body and technology, images of the reproductive body, and media studies. She was the Marjorie C. Luesenbrink Fellow in 2016, and she has trained at the Digital Humanities Summer Institute. She is a member of the Electronic Literature Organization and the Modern Language Association. She is currently teaching courses in feminist science fiction and technology and Southern Gothic literature. 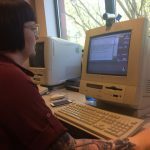 This event is part of the year-long “Born Digital Preservation Series” celebrating the Electronic Literature Organization’s move to Washington State University Vancouver. 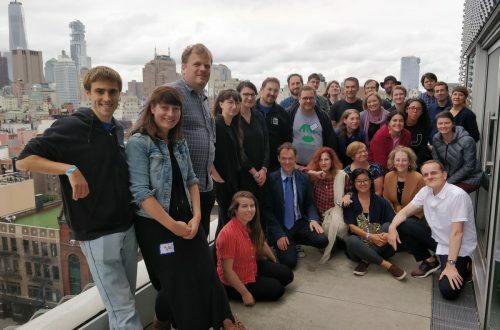 It is sponsored by Washington State University Vancouver, Electronic Literature Organization, and the Louis E. and Stella G. Buchanan Distinguished Professorship. Organizers: Dene Grigar, Nicholas Schiller, Greg Philbrook, Vanessa Rhodes, Veronica Whitney, and Mariah Gwin.